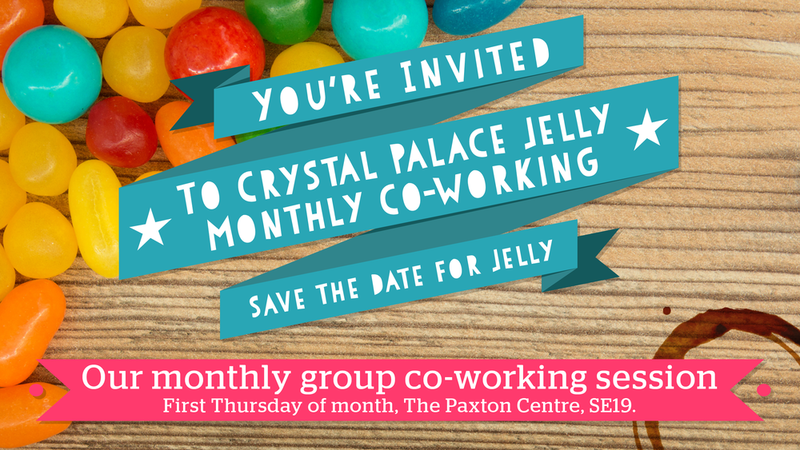 All remote-workers welcome to join the Crystal Palace Freelancers, for a day of friendly co-working upstairs at the Paxton Centre. Come for a couple of hours, or spend the day (9:30 to 5pm). For this monthly meet-up: the upstairs hot-desk space will be made available for FREE on a drop-in basis. Includes WiFi + there are accessible sockets. Each month we offer a free business Skill Share session (usually at 11am) facilitated by one of our talented local freelancers...stay tuned for updates. Please buy a drink, snack or even a piece of art, to support the work of our host Paxton Centre, while you enjoy the facilities on Jelly days. Full café service, breakfast and lunch options available. Click ‘Going’ for your place at the talk or at a co-working table. For co-working, drop in any-time from 9:30 to 5pm. Stay for an hour or two, or stay all day. Paxton Centre hot-desks are available during normal opening hours on other weekdays (Tue-Fri) at rate of £5 for 4 hours. This includes welcome drink.